Aboriginal and Torres Strait Islander people should be aware that this book – and this review – contain images and names of people who have passed away. Fifty years ago Australia held a referendum that resulted in an end to Aboriginal people being treated differently in the eyes of the law. It seems incredible now, but before 1967, federal legislation excluded Aboriginal people from being in the Census and from being included in new law-making, which had a knock-on effect on social care and service provision, for example. Say Yes focuses on the campaign and the referendum itself on 26 May 1967 through the friendship of two girls, ‘Mandy and me’, who, just like any best friends, want to do everything together. However, because Mandy is Aboriginal, she keeps coming up against the barriers created by society, and the girls find themselves separated: ‘It’s the law’. They can’t swim at the pool together; they can’t go to the same school… But ‘Mandy and me’ are not the only ones saying the law isn’t fair, and we follow the progress of the referendum as the girls join in the campaign to end legal discrimination. The text is fairly sparse, allowing the power of the story to have its effect on young readers: and indeed, this is an empowering book, with the girls shown as playing their part at the heart of the campaigning, alongside real historical figures. What a great way for children to learn the history, including the names of important campaigners such as Faith Bandler, Harriet Ellis and Jessie Street. The book design gives the text added impetus, with variations in page backgrounds as well as font size, weight and colour. The illustrations combine Paul Seden’s very striking drawings of the girls, sketched in black and white, apart from their bright, 1960s-patterned dresses, with contemporary photographs and newspaper cuttings. As children become more familiar with the book and a little bit older, they can read the articles for themselves – and I especially love that one illustration shows the laws encircled in red, as they appear printed in the statute books. As well as being a powerful image in its own right, it allows young readers to access the actual wording of the laws, difficult as it may be, within the context of the actual narrative. End-notes offer some specific context to the discrimination that the girls encounter, as well as an overview of people’s reactions to the result of the Referendum, both positive and negative: ‘It was “a good beginning” but there is still A LOT more to do…’. 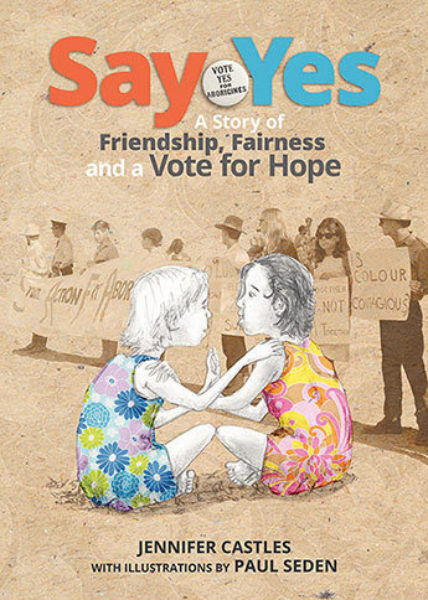 Say Yes is a beautifully crafted book that is certainly a step in the right direction, introducing young children to the importance of standing up for equality and campaigning for changes in the law when the law is not fair. Access Teachers’ Notes from the publisher, Allen & Unwin. 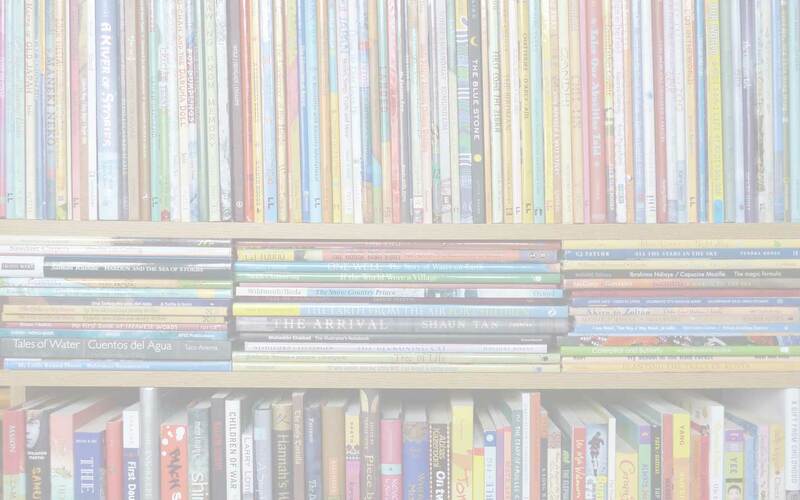 Read an article ‘Jennifer Castles: Books that Changed Me‘ from The Sydney Morning Herald – in particula what she says at the end with reference to Say Yes. Allen & Unwin (Australia), children's books from and/or set in Australia, Jennifer Castles, MWD book reviews, Paul Seden, photographic picture books for children, Say Yes: A Story of Friendship Fairness and a Vote for Hope. Bookmark.